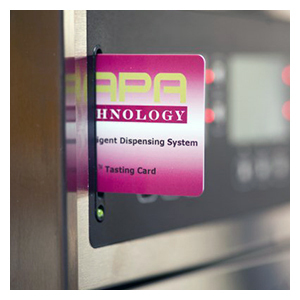 The Clean-Pour Dispensing Head provides the highest level of contamination-free, wine preservation and dispensing available in the world. Available in packs of 4 in our standard size (red) or in assorted quantities and sizes. 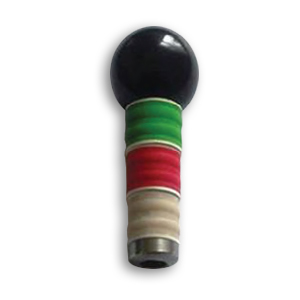 The inner gasket of the Clean-Pour Dispensing head provides an interchangeable seal for all bottle sizes: wide (green), standard (red) and narrow (white). Available in assorted packs of 20 or custom quantities. The WineStation pick-up tubes deliver the wine directly from the bottle into the glass with no contamination or need for purging or flushing. The NSF, BPA -free pick up tube delivers every drop of wine precisely into the glass. Available in packs of 20 or in custom quantities. The AccuServe® smartcards can be programmed (and reprogrammed) in varied formats to suit the changing needs of your operation. They can be customized to include your logo and design, as well as serial barcodes, frosted finish, and other options. The NSF approved food grade silicone spray provides effective lubrication and optimal functionality of the Clean-Pour Dispensing Head. Available individually or in packs of 6. The bottle measuring tool provides you with an easy to use guide to selecting the properly sized Clean-Pour Dispensing Head. Available individually. Made from premium polished stainless steel, the outer drip tray sits on top of the counter and is easily removed for draining and cleaning. The AccuServe Wine Sales Printer allows you to provide customers or staff with an easy to read, individual user wine consumption summary. Custom messaging and logos can be applied to any receipt. Dimensions: 5.5” W x 8.03” D x 5.19” H.
This feature upgrade allows any WineStation model to offer the flexibility of supporting keg dispensing while maintaining the pouring and tracking controls required for profitability. 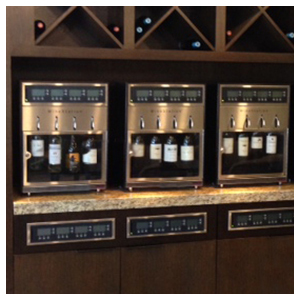 The High Volume Hybrid is not an aftermarket add on and can only be applied to your initial WineStation purchase. Our new DuoClimate feature allows you to chill two whites to perfection and offer two reds at ideal serving temperatures by creating a 12-15° differential between the two zones. 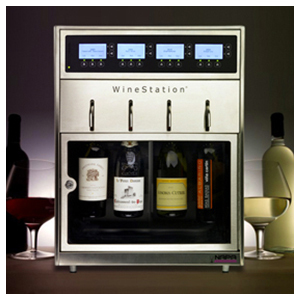 The DuoClimate upgrade is not an aftermarket add on and can only be applied to your initial WineStation purchase. The Dual Zone Wine Cooler is the perfect addition to your WineStation. Featuring two climate zones, an anti-humidifier and frost protection, this premium product provides the perfect storage and refrigeration for your backup inventory, including bottles with Clean-Pour Dispensing Heads attached. Dimensions: 23.4’’ W x 22.6’’ D x 32.2’’ H. Weight: 108 lbs.